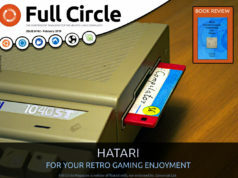 Home magazine Full Circle Magazine #57 – out now! 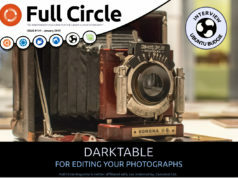 Full Circle Magazine #57 – out now! 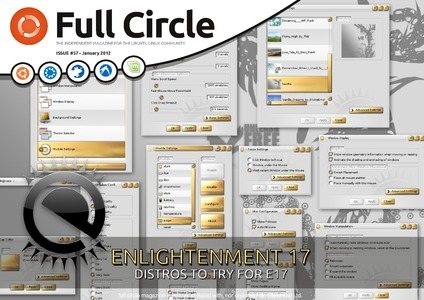 Full Circle – the independent magazine for the Ubuntu Linux community are proud to announce the release of our fifty-seventh issue. * How-To : Try Enlightenment, LibreOffice – Part 11, Backup Strategy – Part 5, Encrypted USB Stick, and Varnish Web Cache. * Linux Lab – Mana World Server. * I Think – SpiderOak Questionnaire. plus: more Ubuntu Games, My Desktop (and another extra! ), My Opinion, My Story, and much much more! Next articleAnother Special Edition - this time, Scribus! Where’s the MOBI version? After getting that last month I can’t go back to PDF. Are you going to send out a new alert to subscribers when its ready? You did it again – #57 in Mobi, and I can read it on my Kindle… Thanks again, that’s awesome! Rendering a PDF onto book readers can be IMPOSSIBLE at times . Calibre the e-book program, describes PDF’s as having features un-convertable from PDF to and e-book format. Pictures rotated, tables and fonts and other pdf ‘features’ that e-books can’t display. Many ebook readers can support PDF but try to read, with impossibly small text or just small parts of a page are visible. Mobi formats will free is from lugging a laptop. I keep my Kindle with me to read a book or my magazines or Full Circle(someday). Can’t wait for new format!!! we do have an EPUB Version based on HTML Source Code which is easily convertable via calibre.